Maybe I’m the only one, but I suspect not. And the time around World Book Day, usually the busiest time of the year for author visits, is a good time to listen carefully to what you’re saying to others and making sure that you practise what you preach. I am currently going into one school for two days a week over a five-week period, where amongst other things, I am practising and discussing mindfulness with the children and how mindfulness can help us in our everyday lives and when we are writing. Jess Mikhail (who illustrated Two Brothers and a Chocolate Factory) is doing the same with illustration. 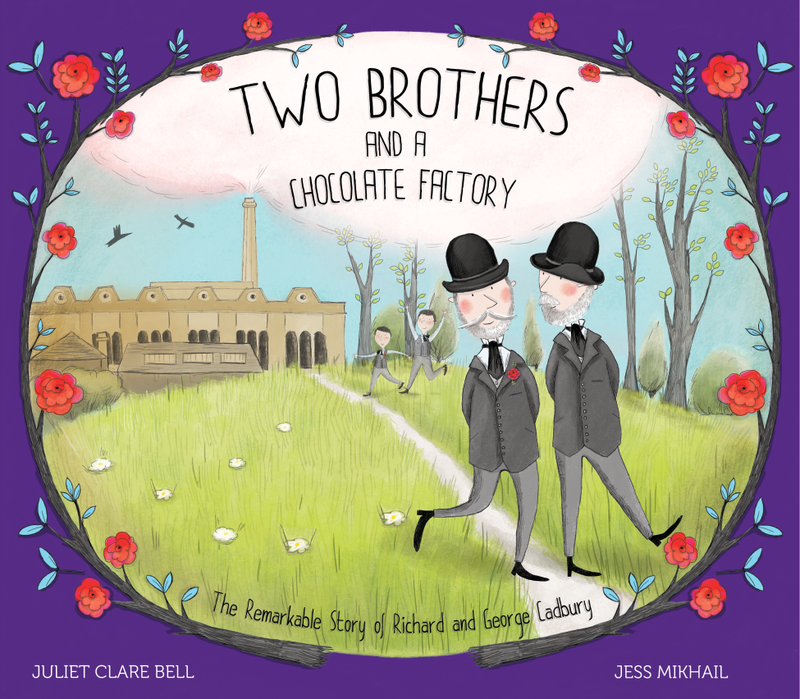 I'm lucky enough to be working on a mindfulness and writing/art project with Jess Mikhail, after having worked with her on Two Brothers and a Chocolate Factory: The Remarkable Story of Richard and George Cadbury, above. I have practised mindfulness, on and off, over the last twenty five years, and it’s been extremely useful, but I hadn’t used it much over the past ten years and not deliberately when writing. One of the things we’ve focused on a lot in the school is making mistakes and taking risks and trying to encourage children to embrace their mistakes and feel better about making them. If you’re afraid to get things wrong, you’re unlikely to take risks in your work (or life) because of the fear of failing at something. So we’ve been using mindfulness to try and feel better about getting things wrong. And one way of feeling ready to take risks and make mistakes is by being in the present –and not worrying about the past (how you felt when you made mistakes before) or the future (what might people think of you if you do something that’s wrong?). So I’ve shown them my very messy, rough plans for my stories –on messy paper, where I’m not censoring my ideas but getting everything I’m thinking down onto paper before I try and actively shape it. And I talk about how it not being in a beautiful notebook makes it easier for me not to worry about messing up something that’s clean and fresh and beautiful. Scrappy planning for a picture book of mine, which I share with surprised (and amused/horrified) children. I’ve given them each a lovely clean sheet of blank A4 paper and then got them to scrumple it up, jump on it, rip it and then use it so it feels less like something that it would feel bad to make a mistake on. 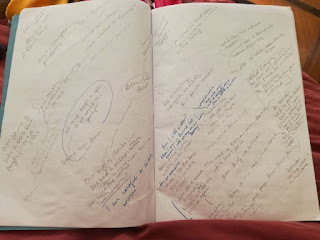 And then we’ve made deliberate mistakes on the page –it can be surprisingly hard to write your name wrong, but we do, and then we write sentences where the structure is clearly wrong –and then talk about how we feel about doing it. So I hope we’re now at the point where the children are feeling more inclined to take risks and make mistakes in their writing and art throughout the rest of the project –and beyond. But am I practising what I preach? Well, in terms of being messy and writing on big scrappy paper and not censoring my thoughts as I’m planning, then yes. That’s definitely how I work. And taking risks? Every time I show my work to anyone –whether it’s my agent, my editor or another writer, I’m taking a risk. All authors do it -so yes, again. But in terms of being mindful and trying to be present as much as possible, especially when writing? I’ve tried. 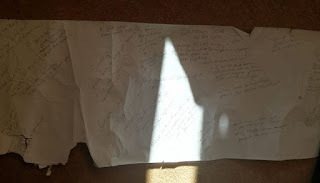 Since we arranged the project many months ago and whilst I’ve been thinking about the project, I have tried to be practise mindfulness with my writing more often. With my most recent story, I actually tried a different way of writing the first draft of the manuscript –with mindfulness very much in mind. I wrote it in the dark. 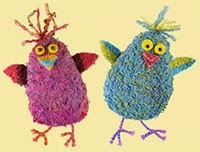 Not to worry about mistakes: because I couldn’t see them! I can find myself easily distracted when writing but practising mindfulness and being able to focus like this actually worked really well for me. And interestingly, the story written this way has needed far less editing than a lot of my stories. School visits are valuable in many ways, but this school project has been helpful in an unexpected way: because of the particular project I’ve really had to go away and practise what I preach. And for me, at least, it’s worked. Have you tried any unusual ways of writing –as an experiment, or so you can focus properly? Or have you tried other things to help you focus? And how have school visits helped you as an author? Please leave a comment, below. What a completely brilliant post! Thanks - really interesting and inspiring and I loved the clips. I must watch Kung Fu Panda again and 'Beautiful Oops' looks great. Thanks, Anne. The Beautiful Oops clip is actually a song, which is not what we do in our sessions! It's a lovely book and conveys exactly what we'd like to convey. Clare. P.S. 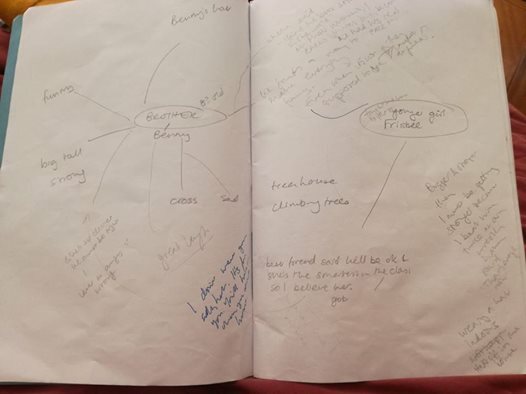 I realise that I do a little of this on school visits when I show the children my very messy notebooks, filled with story plans, shopping lists and prayers and doodles! What a wonderful post. On school visits, I also show children my notebooks, and some of Sue Heap's original roughs too, and then compare all this with the finished books - to show that these beautiful objects often start off with something very scribbly. I also talk about how comedy impro - feel the fear of NOTHING IN YOUR HEAD (EEK!) - and do it anyway - has helped me to just say yes to ideas on the page. 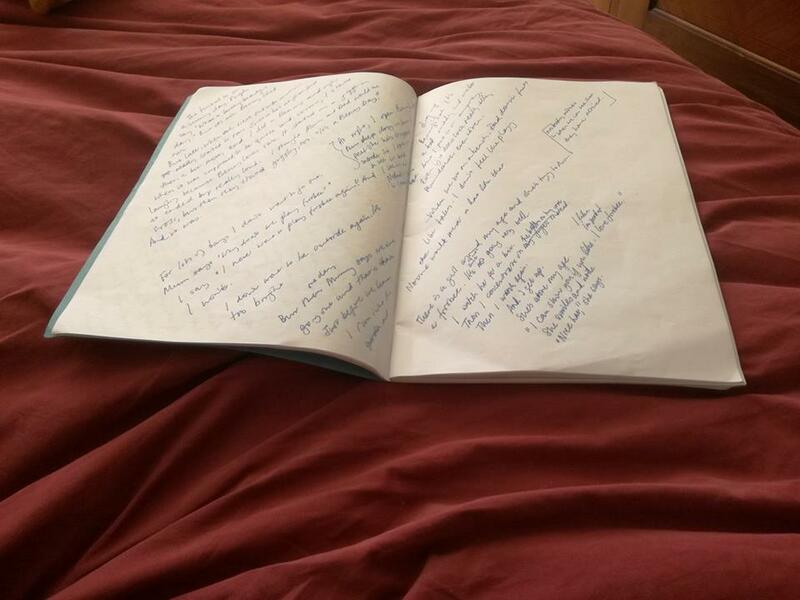 Some of my most fruitful ideas have been just as I'm going to sleep or waking up - so I LOVE the idea of writing in the dark. That's so brave to do comedy improv! what a great way to get confidence in other areas of your life. I recently had a few singing lessons -and they were really scary, but I feel that I'm better able to take other risks now. Let me know how it goes with the writing in the dark! Really thought-provoking. My daughter gave me a beautiful notebook for my birthday but I can't bring myself to write in it (yet). I think this is why! I've recently bought blank A4 school-exercise-type books and they're great (you can buy them in bulk and) because they're like school books, you don't mind about spoiling them in the same way. Also we just discovered a slightly bigger than A4 size (is it B4?) scrap paper pad from muji and it's cheap-looking paper -cheap (about £1.50) and perfect for brainstorming story ideas. You could keep the notebook for when you do feel that you want to write in it and use something like the plain ones for every day stuff (also, I'd never write on the first page of a book but turn to the first double spread, which means I have more space but also, that the first page still looks lovely! I love so many of your ideas and suggestions here. Thanks so much. Thank you, David. I'm really pleased. Let us know if you try writing in the dark and if it helps. What an interesting idea, and speaking of writing in the dark, I sometimes jot notes down in the middle of the night in the dark in a small notebook by my bed. What's surprising to me is that the notes look like they were written by someone else's hand. Did you experience that with your story? Hi Becca, I'm also trying to write less on the computer because I get too distracted too easily. Beautiful Oops is well worth buying!